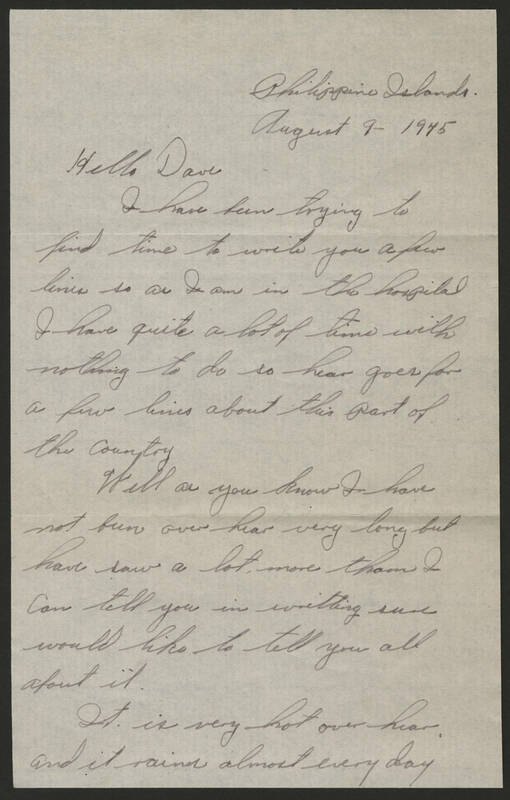 Philippino Islands August 9 1945 Hello Dave I have been trying to find time to write you a few lines so as I am in the hospital. I have quite a lot of time with nothing to do so hear goes for a few lines about this part of the country. Well as you know I have not been over hear very long but have saw a lot more than I can tell you in writing, sure would like to tell you all about it. It is very hot over hear and it rains almost every day.